Please advise in advance of any dietary restrictions. No-shows and cancellations after August 22, 2013 will be charged. Some analysts and pundits believe the sun is setting on the days of American global hegemony. With the rise of other powers, the international community is confronted with a variety of geopolitical actors. While many countries adapt to this change, so too has the United States. “Smart power,” and particularly the fundamentals of strong public diplomacy, are now more important than ever in sustaining American influence. Perhaps no where is the use of “smart power” more important than in the Asia-Pacific. Totaling nearly one-third of the world’s entire population, Asia-Pacific countries continue to make their mark on the geopolitical landscape. Rising economic prowess, demographic shifts, and increasing interconnectedness make the Asia-Pacific a lightning rod of socioeconomic and political activity. Partnerships are at a premium, and perhaps no other country has been as instrumental in fostering U.S. Asia-Pacific influence than Japan. Whether it is “Abenomics,” the Trans-Pacific Partnership, the Obama Administration’s “Asia Pivot,” or myriad other developments, Japan plays an integral role in virtually all trends relating to the region. 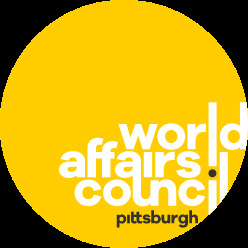 Join the World Affairs Council and one of the U.S. State Department’s most senior diplomats for an off-the-record discussion about 21st century statecraft. 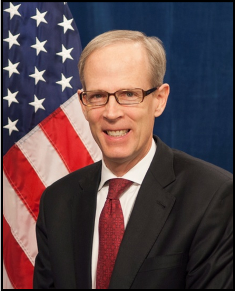 Mark J. Davidson has served as U.S. Embassy Tokyo’s Minister-Counselor for Public Affairs since March 2012. A career Senior Foreign Service officer, he leads the U.S. government’s largest array of media, information, cultural, and educational programs in the East Asia-Pacific region. His previous diplomatic tours in Japan include Cultural Affairs Officer in Tokyo, Public Affairs Officer at Consulate General Sapporo, and Deputy Director of the Tokyo American Center. From 2008-2010, he was Director of Global Policy Planning and Resources for Public Diplomacy and then Director Global Strategic Engagement Center at the U.S. State Department. His other postings include Pakistan, Paraguay, Venezuela, and Spain. He speaks Japanese, Spanish, and French. He has received the U.S. State Department’s Superior Honor Award and Commendation for Exceptional Service, among other professional honors.